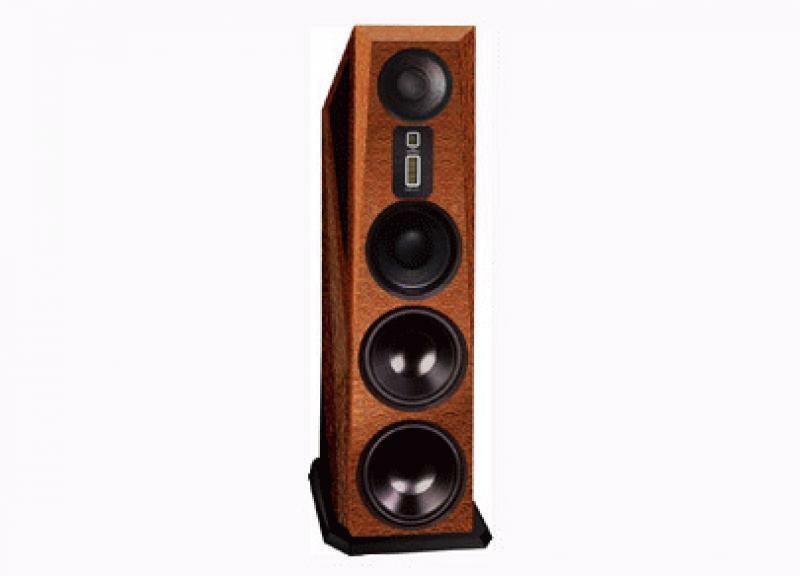 At Rocky Mountain Audio Fest 2012 Legacy Audio will unveil the Aeris loudspeaker featuring an all-new drive complement, ICEpower bass section and digital room correction. The system is the first to use Legacy's new dual Air Motion tweeter with high power handling and high efficiency, and a titanium encrusted 8" midrange with a large motor structure imported from Italy. The bottom end is highlighted by a 10" midbass and dual 12" subwoofers with a linear volume displacement of nearly 200 cubic inches. The bass section is powered by 750 watts of ICEpower amplification and reportedly offers extension to 16Hz. The included 24-bit DSP includes balanced and unbalanced analog inputs and outputs, level control, and both SPDIF coaxial and USB inputs. The design employs a 2.25" thick baffle with 2" side walls. The upper portion of the speaker cabinet is open air dipole for fast decay of mid-bass frequencies and airy highs.